Sanitary Napkin Vending Machine A women’s health is most vulnerable during menstruation. Sanitary Pads/Napkins are the only safe and healthy option for women while continuing their work/study/traveling during their menstrual periods timely availability is the key. Sanitary Napkin Vending Machine is the only options. Sanitary Napkin vending machines are used for vending pads and Sanitary Napkins. Sanitary Pad Vending Machine is also known as Sanitary Pads vending machine for women hygiene. Sanitary Napkin Vending Machine can be an Automatic, electronic, semi-automatic also. These are Self-Service Vending Machine used for dispensing Sanitary Napkinsand Pads against acceptance of Coins. This Machine is alos know as Sanitary Napkin Vending Machine, Sanitary Pad Dispenser Machine, Sanitary Napkin Dispenser Machine, Sanitary Pad Vending Machine. Why Sanitary Napkin Vending Machine is important. Automatic sanitary napkin vending machine used to collect sanitary napkin pads where ever available no need to go for any other shops/stores in emergency time Women are able to buy sanitary napkins from the vending machinesby inserting coins of Re 1, Rs 5 or Rs 10 without going to physical store at public places like Hospitals, Schools, Colleges, Airports, Railway Station, Bus Station, Shopping Malls and other high footfall areas. 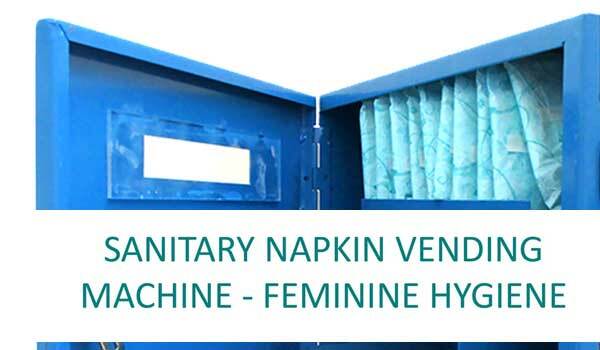 Availability Round the clock availability of napkins and Sanitary Napkins Available at the point of need such as workplaces, malls, schools/colleges etc If you are looking for sanitary napkin automatic vending machine, sanitary napkin dispenser, sanitary napkins vending machines. You can order Coin Operated Sanitary Napkin Vending Machine, Automatic Sanitary Napkin Vending Machine online at low price in India. Working of Sanitary Napkin Vending Machine. Anyone can access sanitary vending machine, to get Napkin or pad from machine just Insert a Coin of 2, 5 or 10 as mention, vending machine dispatches a pad instantly for you. 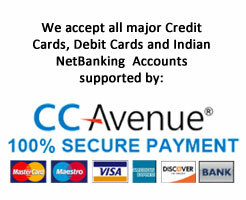 If the coin is not valid, then machine will reject the coin back to customer. It is highly used for immediate access of napkinsto meet the menstrual emergencies at public places or high footfall area. Sanitary Napkin or Pad Vending Machines for Hospitals. As per Online research many hospitals, especially maternity hospitals takes initiatives to install Sanitary Napkin vending machines in Hospitals. 1. Ajmer collector Gaurav Goyal at the installation of automated sanitary pad vending machine at Zanana (women's) Hospital 2. BMC health department installed sanitary pad vending machines, in five of its maternity hospitals. 3. As part of Womens' Day, two sanitary napkin vending machines and a ... installed at Coimbatore Medical College and Hospital here today. Sanitary Napkin or Pad Vending Machines for Railway Stations. Sanitary Napkin or Pad Vending Machines for Airports. Sanitary Napkin or Pad Vending Machines for School and Colleges. Most of all schools and colleges have girls’ students. These Sanitary napkin/pad vending machines are very useful for Girls College and Schools. Since girls may need sanitary Napkin Pads any moments due to biological changes, immediate access of napkinsto meet the menstrual emergencies. Because nobody always ready for such unforeseen circumstances, almost every one face such a embracing situation. Sanitary Napkin or Pad Vending Machines for Public Places. Sanitary Napkin Vending Machine must be installed at public places, because Sanitary Napkin Vending Machine provides sanitary pad or sanitary napkin with ease. Existing Sanitary Napkin Vending machines are Installed. Airport where sanitary Vending Machines are available. After Indore, since sanitary vending machines is essential many airports like Kolkata, Jaipur, Bhubaneswar, Port Blair, Trivandrum, Vishakhapatnam, Vadodara, Pune, Guwahati, Varanasi and Surat have also got these machines (Sanitary Napkin or Pad Vending Machines). 1. Sanitary Napkin Vending Machines at Hyderabad Airport. 2. Sanitary Napkin Vending Machines Installed At Kolkata Airport 3. Electronically operated automatic Sanitary napkin vending machines 3 nos at Kangra Airport 4. 07 No’s Sanitary Napkin vending machine at Udaipur Airport. And many more….. Article Page Sanitary Napkin Vending Machine is very for buyer looking for Sanitary Napkin Vending Machine Online Store Price, Sanitary Napkin Vending Machine Supplier, Sanitary Napkin Vending Machine Vendor, Sanitary Napkin Vending Machine Whole-seller dealer and Sanitary pad Vending Machine distributor also.